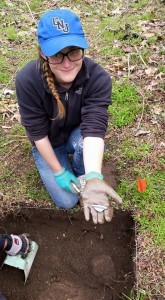 You are here: Home / Archaeology / New Quarter Park: Award-Winning Volunteer Involvement in Archaeology! 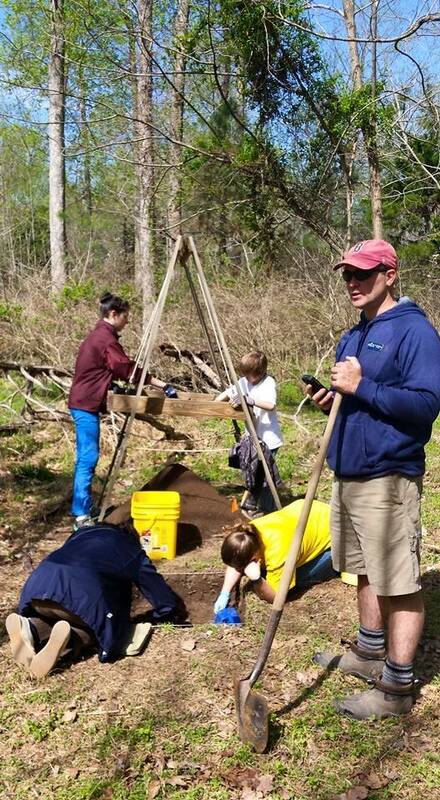 Following our fourth public archaeology dig at New Quarter Park in York County, we are as excited as ever about the amazing archaeological discoveries that volunteers are helping reveal at this site. At New Quarter Park we have enjoyed tremendous success excavating and finding remarkable things, partnering with several community organizations (including New Quarter Park, York County Historical Museum, Tidewater Virginia Historical Society [TVHS], and the Archeological Society of Virginia), and sharing our discoveries with an engaged public through hands-on field and lab experiences and through social media. So how does an excavation like this come about? At the public dig this April, volunteers helped excavate five additional test units, expanding our sampling across the site and beginning to identify site boundaries. 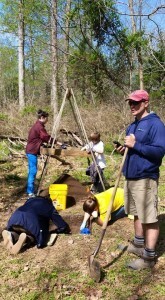 Though limited archaeology was done at NQP by David Hazzard, then of the Virginia Department of Historic Resources, before the current project, our current strategy is to move beyond finding sites. We try to answer broad questions about the site’s size and occupation period, as well as specific questions about the locations of buildings and the people who lived on the site. This can be a long and tedious process, but every step of the way we are gathering new information that sheds just a little more light on what happened here centuries ago. In one of the units excavated this April, the large quantities of brick and mortar rubble led us to wonder about the proximity of the test unit to a former structure. This quantity of brick and mortar suggested at the very least that a brick chimney, or brick foundation, would have been nearby – perhaps a relatively substantial building? And with our luck, we may have begun to solve this query in the last few hours of the dig: a test unit showed signs of going particularly deep, and probing suggested there was a brick floor about 2.5 feet below the ground surface. At that depth, we suspect this unit is located within a brick-lined cellar. Several of the artifacts in the fill date to the late 18th century, indicating a clear time frame for the filling of the cellar! For now, the cellar fill in this unit will remain intact, and the potential brick floor will have to wait for its big reveal until our next scheduled dig at the park, hopefully in September. But archaeology is not just about the digging! 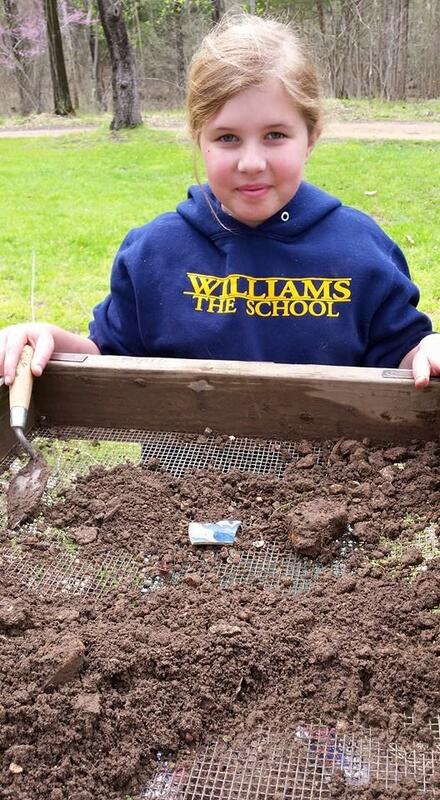 Not only can volunteers get involved in excavations at the New Quarter Park site, they can also lend a hand washing recently excavated artifacts. 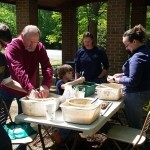 On May 2, as part of New Quarter Park’s 30th birthday celebration, Fairfield Foundation staff and volunteers hosted a public artifact washing day. 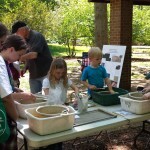 In addition to visitors stopping by and getting to learn about and see firsthand some of the artifacts from the site, kids got the opportunity to get their hands wet (and dirty!) and wash a few artifacts. 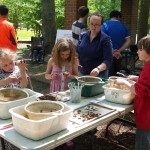 The kids really enjoyed participating, as each small artifact reveals another part of the story. The excavations, the artifact washing, and further analysis of the material will lead to future exhibits and a better understanding of the history of the park and the people who lived here in centuries past. 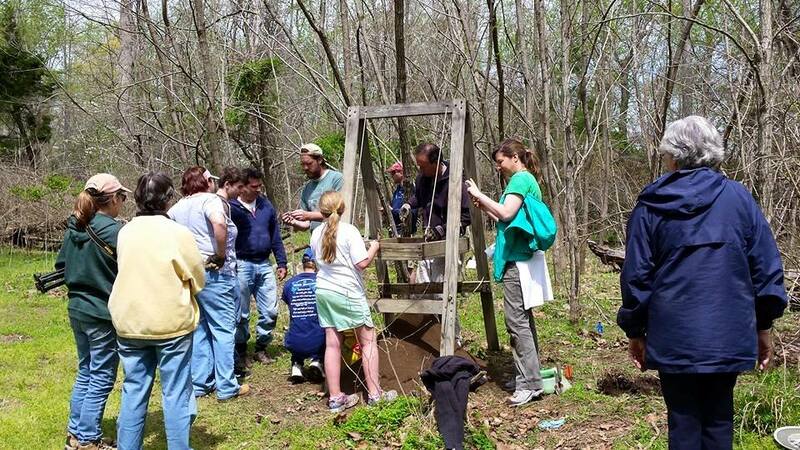 Providing these public archaeology opportunities certainly brings attention to the value of the past, and allows people of all ages to discover some history for themselves. But don’t just take our word for it! 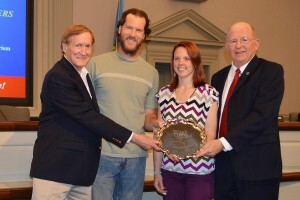 The York County Board of Supervisors has taken note of the success of this project, in particular the volunteer involvement. At their meeting in late April, the Board presented a ‘Volunteer of the Year’ award to everyone who has been involved as a volunteer with the public archaeology at New Quarter Park. 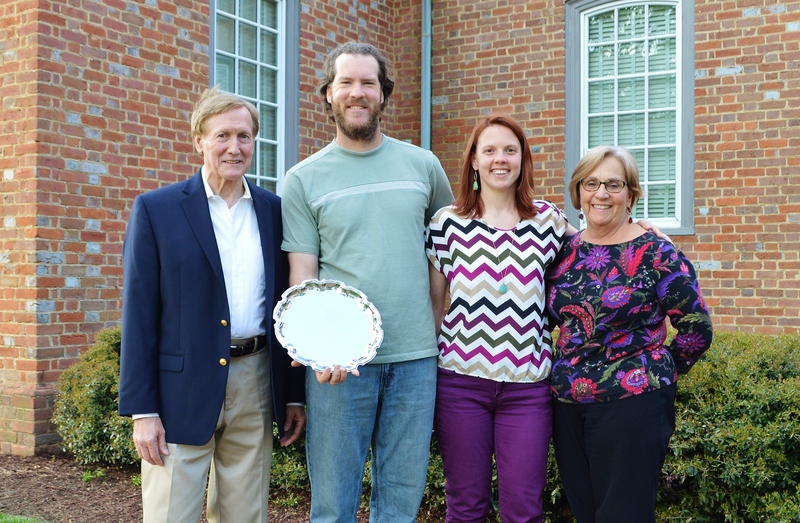 Fairfield Foundation staff accepted the award on behalf of all of you who have been a part of this endeavor – this is a wonderful honor and reflects the hard work that you all put in to help excavate this remarkable site! 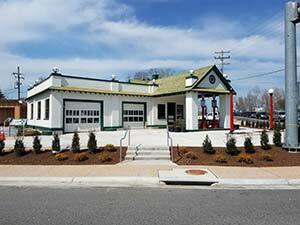 It is also a testament to the wonderful partnership between New Quarter Park, the York County Historical Museum, Archeological Society of Virginia, Tidewater Virginia Historical Society, and the Fairfield Foundation. So whether you joined us for some time in the field, worked behind the scenes to bring these experiences to the public, or helped wash artifacts, we thank you for all that you have done to help uncover and explore York County’s history. We’d also like to extend a special thank you to Molly Nealer, Sara Lewis, and the other staff at New Quarter Park who welcomed us and made each excavation experience go so smoothly. If you have missed out on the New Quarter Park excavations, don’t despair! Please let us know that you are interested in a future dig at NQP, and join us on one of our many other archaeology programs this summer.